For such a long, long time I was suffering from neck pain, headaches, stiffness, and my arms were going numb! The doctor I was seeing put me on medication to help with it all, and it didn’t. It wasn’t until I started being treated by Dr. Davis at Central Georgia Clinic of Chiropractic that I started feeling better! Even my doctor noticed a change in me, and he cut down my dosage of my blood pressure medication!!!!! The staff treats me wonderfully when I come in, and I would tell everyone I know how great I feel and how much Dr. Davis has changed my life! I was suffering for 4 very long months with severe hip pain prior to coming in to be treated by Dr. Davis. I was taking Advil frequently for pain and everyone at Central Georgia Clinic seemed so concerned about my health and pain. The staff treated me very good and my pain is relieved! Dr. Davis and staff are incredibly helpful and explained everything thoroughly so that I could get back to feeling my best! For months, the pain I experienced was so bad I couldn’t pick up my head. It hurt so badly I would shake uncontrollably. I lost my independence, and had to have help even changing my clothes I was in so much pain! If I ever tried bending over, I would fall. My doctor put me on pain medication that didn’t help me with my pain; it made me extremely fatigued. The staff at Central Georgia Clinic is kind and very informative. I loved that Dr. Davis took X-rays of my spine to make sure what he was doing was effective and not just “guessing” with my health. If you’re looking for better health, Dr. Davis is the person you need to see! Since being adjusted by Dr. Davis, I can live my life again! I can pick up my head! I can dress myself! I got my life back!!! I have had neck and shoulder pain for as long as I can remember. I have been to chiropractors on and off. The pain would never go away for more than a day or two. After seeing multiple doctors, I was prescribed pain medications and muscle relaxers. Nothing has ever solved my problems with pain! Since being treated by Dr. Davis, I learned the way that he adjusts you is far different from other chiropractors. There was no popping of my neck like other chiropractors had done. I have gotten better results from being treated by Dr. Davis than from previous care. Except for being a little sore, my neck and shoulder pain is one hundred percent better! Dr. Davis is very caring about the health of his patients! For five years, I struggled with hypothyroidism. Not being able to live my life without pain has done a number on my back. I've gone to doctors who prescribed me lots of medicine which temporarily worked. Waking up, working throughout the day, and ending my day, I was always in pain. Since seeing Dr. Davis, I can live my life without relying on a number of different pills to live free of pain. I am no longer diagnosed with hypothyroidism. My medicines have been drastically reduced resulting in less time out of my day from swallowing pills to working and living the life I was made to live without suffering from back pain. God bless this office, the staff, and Dr. Davis. Thank you for what you all do. Never stop giving people the opportunity to live their best life! I have suffered from chronic headaches for most of my life and for the lst four years have had severe back pain. I saw other doctors and no one was able to bring me relief for my specific problems. Life was miserable! I would wake up with a headache every morning and I would have a constant headache throughout the day. Most nights I went to sleep with a headache. It got so bad that not even medicine would bring me relief. There is absolutely nothing I would change about the care I received. For the first time in my life, I have enjoyed going to the doctor! The staff is great at their jobs. I remember the very first time I stepped into Dr. Davis’ office. The pain I felt in my back was indescribably excruciating. The severe pain I felt hindered me from being able to walk! That is something we definitely take for granted on a daily basis. I suffered for six months before realizing I needed help. Dr. Davis gave me my mobility back. Before, I relied on back treatments to relieve the pain. It didn’t take long at all before I felt life changing experiences. My results with chiropractic care have helped me a lot in my daily activities. The staff is helpful and attentive. Dr. Davis and the office staff give you a great service and experience from day one. Thank you for giving me the ability to move around without pain, and the ability to walk better than I have in such a very long time! It has been a pleasure to know Dr. Davis. If you haven’t tried chiropractic care, now is your chance. Let Dr. Davis change your life. My condition before seeing Dr. Davis was not good. I have had pain in my back and I have had pain in my right hip. I have also had Neuropathy in my hands all the way to my feet. I had suffered for about a year. I took many drugs to try to relieve the pain before getting treatment at Central Georgia Clinic of Chiropractic. After treatment, my back felt better right away! I was able to stand straighter almost immediately! I am walking and standing better. My hip has improved a lot. The staff is exceptional! I have recommended Dr. Davis to lots of people. My main trouble areas were my left shoulder, lower back, and hips. Struggling for five years, I ultimately gave up activities that I loved dearly: yard work, gardening, painting, shopping, a lot of which we take for granted. I struggled getting in and out of my car, bending over, sitting, and watching movies without constantly shifting. I had no idea that chiropractic care treats the health issues you don’t expect. My tinnitus and digestive problems have become better. Since being treated by Dr. Davis, I can work in my yard, paint my bathroom, and so much more. I really enjoy doing all the things I want, and living with no soreness or pain. It seems so natural that you almost forget you couldn’t do the things you loved to do months ago that you can now do with ease. Dr. Davis is one of the nicest, caring doctors that I have ever met in my 74 years of living. He actually listens to you and wants to see your health increase. I would absolutely recommend you see what Dr. Davis can do for you. I wish someone had told me about him sooner! Able to Golf Better than Ever Before! Choosing to see Dr. Davis at Central Georgia Clinic of Chiropractic, it has been the best choice I have ever made for my health. I feel amazing at almost forty-years-old! I have more mobility in my shoulder than I have had in over twenty years. I don’t have any more numbness in my arms so I am able to hit golf balls better than I ever have before! I am so thankful I made the investment to get my life back in order by living pain free and being able to do things I love without pain. I cannot say enough great things, but thank you for everything you have done for my health. I plan on containing my care and feeling better every day. Dr. Davis and his staff are top notch! I will continue to recommend him to everyone. THANK YOU!! I had back pain when I first came in the office. Before being treated by Dr. Davis, I tried cortisone shots and Motrin to ease the pain, but nothing really helped. So I suffered for years. I could not do a lot of my favorite activities, and I was limited on what parts of my body I could move comfortably. My experience with Chiropractic care has left me with no limitations whatsoever! My quality of life is much better. I do not have to take or rely on the use of pain medications to feel better. Chiropractic care is very effective. I am so glad that I am pain free and that I can move freely! I have had a wonderful, caring, and productive experience! 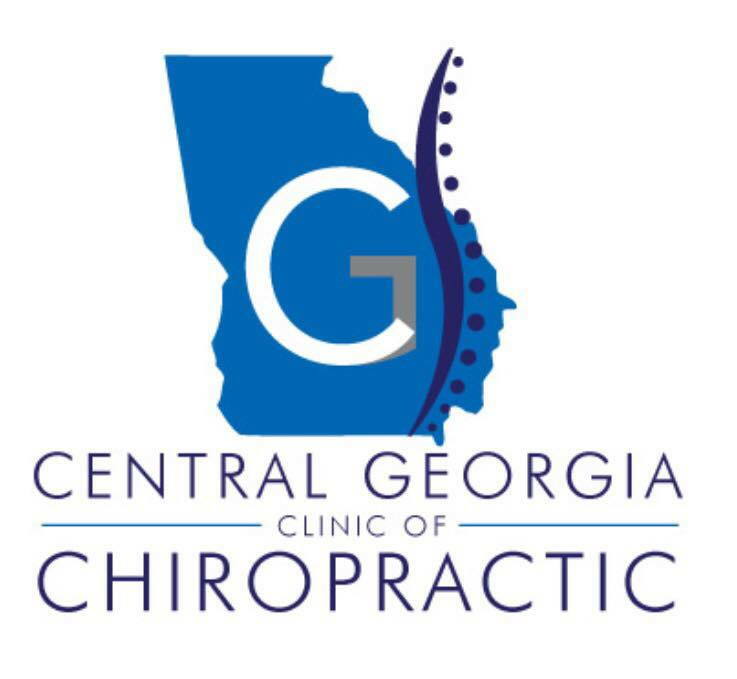 I would recommend Central Georgia Clinic of Chiropractic and Dr. Davis to anyone! I have had back, neck, and knee problems all my life. Sometimes we accept this as how life is going to be from now on. I’ve had injections in my shoulders, back, and knees. I’ve had years of traditional chiropractic care, physical therapy, steroids, and surgery. The constant pain made me very weak. I was tired, depressed, and anxious all of the time. I have lived this way since I was a child and it has gotten worse with age. I had reached the place in my life where I chose to get help and not give up until I was living again. When I heard about Dr. Davis, I came into his office with nothing to lose. I came in with negative expectations. Boy was I surprised! I received instant improvements and no more pain! With great increased mobility and less pain, I look forward to a good day each morning. I am more relaxed so I can enjoy my friends and family. I spend less time in bed. I focus on what I can do and believe I will do what I can’t in days to come. I want to thank everyone at the office for being very professional and qualified, for treating me with care, concern and especially their dedication to helping me. I am beginning a new and improved chapter of my life. I thank God for doctors and staff like Dr. Davis and the girls. What a blessing! When I took a step, I had to stop and catch my breath. I have COPD. I was getting worse and never better. I couldn’t go to a cook out at the church or with my family because the smoke would get to me and start affecting my breathing. I would spend that night or even the next day in the emergency room on oxygen with breathing treatments. It was no fun! After my first treatment at Central Georgia Clinic of Chiropractic, I began breathing so much better and could walk without hassling for breath. Dr. Davis has worked a miracle in my life through the healing of my Lord, Jesus Christ. I am on the road to complete recovery. God has given Dr. Davis the knowledge in what to do. All I have to do is listen to him and let God do His work in me! I thank God every day for Dr. Davis. He cares about his patients and knows that God loves us all. Dawson is a 9 year old boy who has been suffering from severe heartburn for over a year now. He was prescribed by his pediatrician to take heartburn medicine twice a day. Before Dr. Davis, we had no experience with chiropractors. Honestly, I was quite skeptical at first, but now seeing my son’s results, I believe others need to try chiropractic care instead of taking medicine all the time. Dawson has not had to take a single heartburn medication in weeks. This may not seem like a big victory for some, but I’m glad to see that my son can live his life without having to stop to take medicine or be in pain from the heartburn. Dr. Davis and his staff are nothing but helpful, courteous, and knowledgeable. I’ve learned so much from coming here. I honestly believe it was the best decision for Dawson. We couldn’t be happier with his results! Dr. Davis genially cares about your well-being. He will do anything in his power to help you get healthy and to be the best you can be! You will not be disappointed with your results by choosing Dr. Davis! For almost a year I suffered from hip pain, sometimes to the point that I could not walk, much less work. It always seemed as if I never had any energy and was tired all the time. My medical doctor prescribed several different medications for the hip pain. The medicine would only dull the pain and made me sleepy so it was even harder to work than before. I was not getting any better and I was tired of the side effects of the medication. Since visiting Central Georgia Clinic of Chiropractic and beginning my treatments I could see myself getting better. It was unbelievable how my body started to heal itself! Now I can get in my house without having to hold on to the door for support. After a full day at my job I still have the energy to go home and do my household chores! Dr. Davis and his staff are just “good people” who truly care about me and getting my quality of life back! The office is professional yet has a home feeling. Without a doubt I would say everyone needs to go see Dr. Davis! I had shoulder and back pain often whenever I did some type of light yard work or outside activities at home. At eighty-five-years-old, I try to continue to enjoy my life and stay active thanks to Dr. Davis. Since I’ve been visiting and receiving Dr. Davis’ treatment for almost a year, he has helped my health and helped me to understand my limits because of my age. When I overdo it, he taught me how to react. He cares a lot about his patients’ well-being. I am so grateful for Dr. Davis. My life is more enjoyable and I am more relaxed without having to take shots or drugs of any type. I am very thankful for the staff’s service; they are always willing to work with my schedule! Dr. Davis never hesitated to see me right away when I was in pain. Dr. Davis himself is very professional, knowledgeable, and godly man. The staff in general has exceeded my expectations very much. Thank you for your care! My life prior to Chiropractic care I suffered from severe back pain that was interfering with my everyday activities. I love to jog and I was at a point where I couldn’t do that anymore. Also, I work at a daycare part-time and have a grandchild of my own. The back pain was preventing me from doing my job and enjoying time with my grandson. I was skeptical at my first Chiropractic visit because I had never been to one and I didn’t know what to expect. The very first day my fears and anxieties went away because of the care I received from the staff and Dr. Davis. My back pain is almost non-existent since coming to Central Georgia Clinic of Chiropractic. I have more energy, stamina, and mental clarity. I have not been sick since receiving care. I’m better at my job because I can pick the children up and I have more energy to keep up with them! I genuinely love everything about this office and the staff. They are so caring and really dedicated to helping me be a better me! I have been having trouble with my left side for a long time, but especially in my neck, arms, and back. I had trouble lifting boxes at work and turning my head without pain. Since I am left handed, I had a difficult time doing things with my hand because of the pain. I am really impressed with my care. Dr. Davis took x-rays of my neck and back and explained the trouble was in my neck. He explained that the bones in my neck had no cushion between the disks. He thoroughly went through and explained the treatment steps that were needed for the problem. I have come a long way since starting in April. My pain is no longer severe and I don’t take pain medication anymore. My work ethic have improved and I’m able to do things that I wouldn’t have been able to do with the pain I used to have. This week I completely painted the underpinning of my trailer by myself with my left hands; No aches and pains! I would highly recommend this clinic, Dr. Davis and his staff to anyone having trouble! My life was really depressing prior to Chiropractic Care. I suffered from neck and back pain for years. I didn’t want to do anything. I couldn’t take care of my own household. Walking or doing anything hurt so badly! Chiropractic Care has really changed my life. Dr. Davis is so gentle with you. You are not yanked around like I’ve experienced at other chiropractic clinics. He doesn’t hurt you and I really enjoy the adjustments. I am now able to walk without pain since receiving care from Central Georgia Clinic of Chiropractic. I am a happier person today! The depression is much better also. I believe Dr. Davis and all the staff are awesome! The staff are so sweet and helpful and really care about their patients. I would highly recommend them to anyone. The atmosphere is so relaxing, it is so awesome to go into a doctor’s office and listen to Gospel music. God Bless you all! Way to go Dr. Davis for being a true man of God and a wonderful doctor.